Create a Strategic Marketing ﻿Plan﻿…First! By far, the most common issue I run across when consulting with local small business clients all over New Jersey is “I need to attract more new customers to my business.” In the next breath they admit to relying solely on referrals from current customers. For most of them, they tried many different marketing strategies in the past that seemed to not make much of a difference…not for the money they paid for them anyhow. These are the common symptoms of a business without a strong, written marketing plan. New customer volume seems random and uncontrollable, and marketing feels like an expensive shot in the dark. The Key To Finding Marketing That Works? Build a System. There is an Art and a Science to Marketing, and I like to think that Marketing is 90% Science and 10% Art. You can do well without the Art, but if you fail to apply a systematic or scientific approach to your marketing, you will fail. Or at the very least you will waste a lot of time and money. A written, strategic marketing plan will make all marketing decisions a heck of a lot easier for your local business. Clearly Defined Goal/Vision: Where are you today, where are you going, and why are you going there? Ideal Customer Profile: In your marketing it always pays to act as if you are having a conversation with a single, ideal customer. This also includes the “journey” they are taking up to the point of deciding to buy. This is called the Customer Journey or Buyers Journey. Unique Value Proposition: What differentiates you from other options and from your competition. It's important that your differentiation is recognized as valuable to your customers, not just to you. The internet has become such and integral part of all of our lives…in such a short period of time it has transformed how we communicate and interact with friends, families and work colleagues. Marketing too is going through a complete transformation, and if you ask me, it’s for the best. No longer is marketing only about businesses going out and trying to grab the attention of a prospective customer by running ads in the newspaper, on the radio, or on television. Instead, marketing has become about creating valuable content that attracts and draws people in. 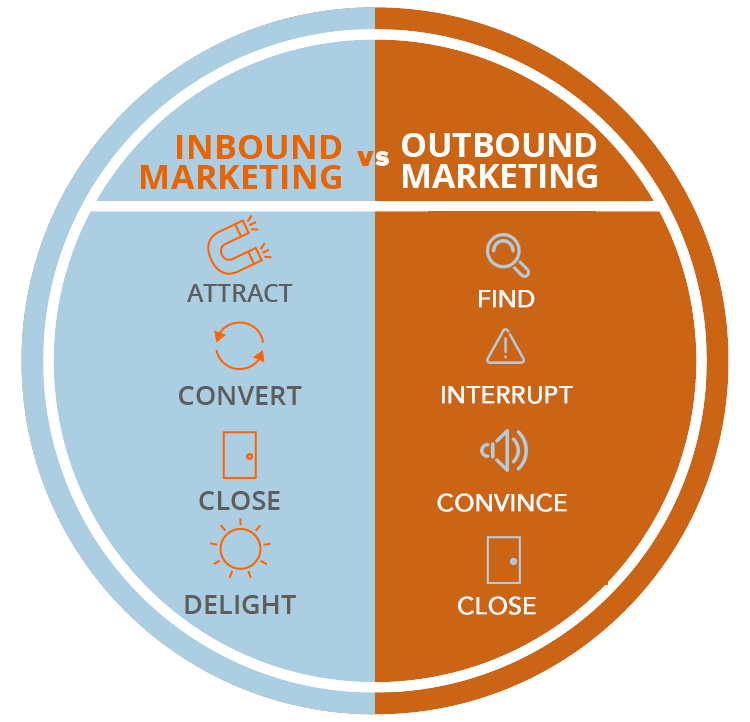 This “new” way of marketing products and services is called Inbound Marketing. You may have heard the phrase “Content Is King”, and with free information so readily available online, this is so true. Content is every word, video, picture, and recording that you create to communicate with people outside of your company. Content Marketing is the marketing practice of creating or curating content that is valuable to your customers and enhances their experience. Its focus is on building a relationship with people by providing value…it’s selling without selling! Our Marketing Mastery Strategy Package dives deep into your business, identifies your ideal customers and unique selling proposition, addresses every stage of the Buyers Journey, and builds solid Inbound Marketing strategies to help your business grow…predictably.